Buckets seem so innocent -- how can a bucket kill a child? 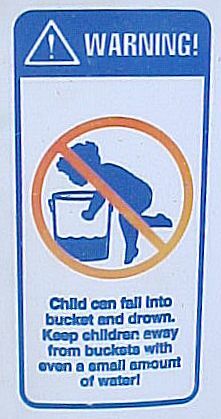 Unfortunately, about 20 children die in the U.S. every year because they drown in buckets. Children love water. When a child sees a bucket of water, it is an instant attraction. Unfortunately, toddlers are top heavy. If a toddler reaches into a bucket to touch the water, it is very easy for the child to tip right in headfirst. The child will never get back out. NEVER leave a bucket of water in your house where small children can reach it. Even something as simple as answering the door or using the restroom can leave a window of time long enough to drown a child. 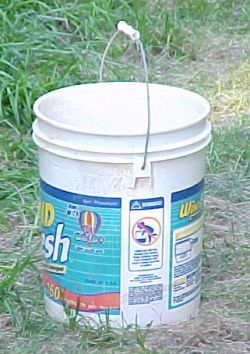 ELIMINATE all industrial, 5-gallon buckets from your household. Keep in mind that any unattended container of water anywhere in the house is a potential drowning hazard for a young child.